American Gods is finally here! Starz premiers the adaptation of Neil Gaiman’s novel on Sunday April 30th. I, for one, will be attending Sunday service at my large flat screen altar every week – ironic, since I’m pulling for the old world gods. American Gods is centered around Shadow, an ex-con who is released from prison early. He is recruited as a bodyguard in an impending war between the old world gods and the modern gods of technology and media. The show will amble through the American countryside. Along the way it will pick up the various gods who hitchhiked their way to America on the backs of immigrant beliefs and long-held superstitions. Here is a (spoiler-free) review of the first few episodes; if you hadn’t planned on watching, perhaps this will change your mind! Upon meeting Shadow, one of the gods informs Wednesday, “He does not know our world.” Wednesday replies “I’m easing him in.” Wednesday is easing Shadow into his world, but not the audience. We are thrown into the deep end from the beginning. When I first read the book, what sucked me in was its reality. The veil between worlds is pulled back just enough to make you believe the gods are plausible, but it never felt like a CGI fantasy. In the first few episodes, the audience is either in our tangible world, Shadow’s dreams, or the world of the gods. Our introduction to the gods’ world is a bit jarring and, at times, a little too indulgent compared to the book. It takes some getting used to, but it is stunning. It’s no wonder Wednesday can’t show Shadow right away. I was surprised at the stark difference between worlds in the show. I’ll reserve judgment until I see how they are melded. While getting to know the gods in their “Coming to America” scenes, there is some overly indulgent voyeurism I could have done without. These scenes are in the book, but they take up fewer pages than the show would suggest. An extension of the story that does work however, is Laura, Shadow’s wife. She gets an entire episode. Fans of the book will love her development. 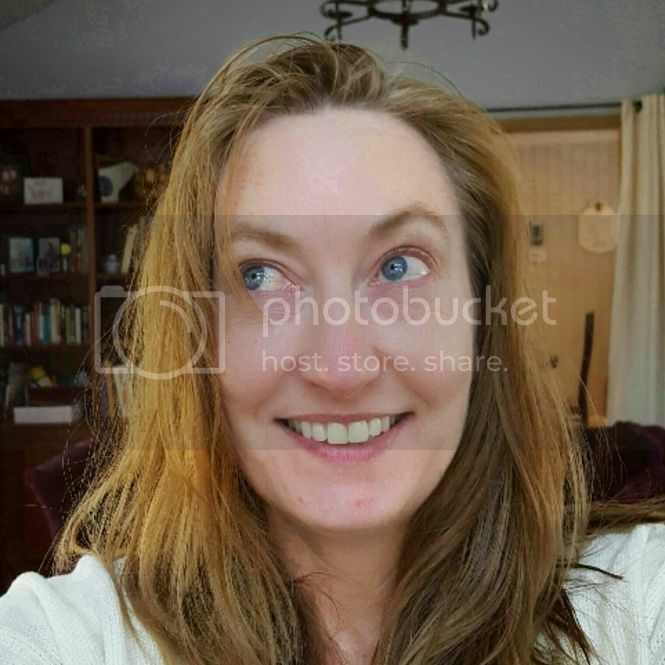 She was a mechanism to move plot along in the book, but you don’t get to know her character. I never understood the connection between Laura and Shadow. Their relationship build-up for the series is a huge improvement. Another character build-up that wasn’t in the book is Laura’s best friend, Audrey. One scene in particular between Laura and her bestie is reminiscent of any great Buffy the Vampire Slayer moment. Audrey barely appears in the book, but she is so good I hope they drag her along for the whole series. For any Vikings fans out there, imagine Amy Bailey as Queen Kwenthrith – Audrey is even better than that. Based on the new insight we gain into her character, the casting of Emily Browning as Laura is spot on. The remaining cast is equally fit. 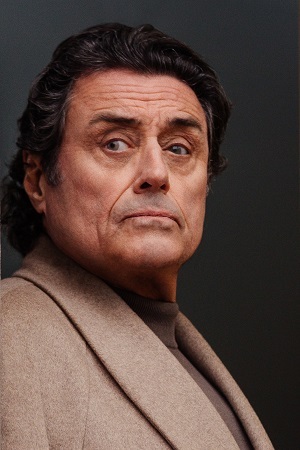 Ian McShane is perfect as Wednesday, the lecherous All Father, but oh-so-charming older gentleman. He’s a swirling combination of suave, funny, dark and cunning. The book mentions that Shadow has caramel skin and black hair. My impression was that he didn’t completely know his bloodline. African blood and Native American background are plausible theories in the book, but never once did I see Shadow as any one race. 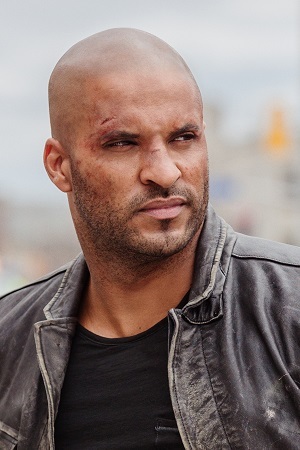 So Ricky Whittle as Shadow is great. An English actor of West Indian decent; his looks have the perfect racial ambiguity that the character needs. He’s also a great actor and really nice to look at for an hour each week. He has the right amount of stoicism and skepticism to be make the audience wonder whether we’ll have faith in what we are seeing. 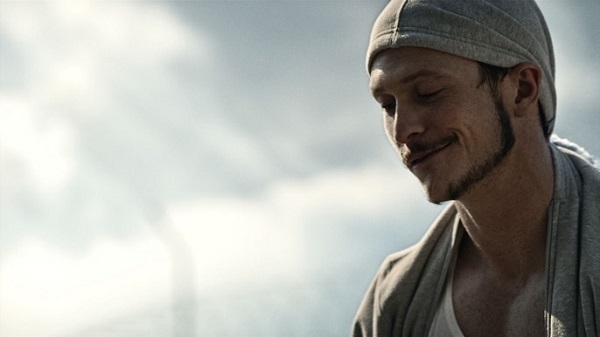 Nothing needs to be said of “Justified’s”, Jonathan Tucker, the actor playing LowKey, read Loki. The promo pictures tell me he’s perfect for the role. 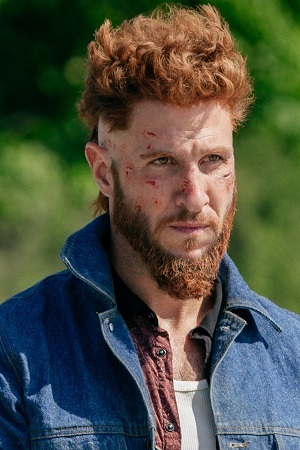 From promotional pictures, I wasn’t getting great vibrations from Pablo Schreiber (Orange is the New Black) as the leprechaun, Mad Sweeney. But those ripples cleared away after his first scene – he embodies the perfect “American” leprechaun. Gillian Anderson makes an appearance as media. I won’t give away her character’s appearance. Jeremy Davies also stars as Jesus. He hasn’t appeared yet, but I’m sure he’ll be dripping with charism. 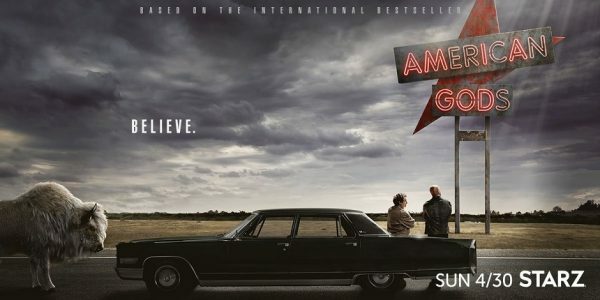 “American Gods” will air at 9pm on Starz starting Sunday, April 30th.